Transferred to the University Archives with the Provost Office General File in 1984, 1989, 1995, and 1997. This group of material was originally mixed with the UPA6.4 material. The records of the Office of the Vice Provost for Research have been arranged alphabetically by subject. When the Provost was the head of the University, a Vice Provost was appointed from time to time to assist the Provost. When the University began exploring for a new system of school leadership from the early 1920s to the early 1930s, the institution of Vice Provost underwent corresponding changes. In December 1926, the Trustees decided to establish three Vice Provost positions each to be responsible for one of the three fields of faculty personnel, student matters and public relations. All three Vice Provosts were to attend meetings of the Trustees and report to the Provost and to the Trustees. When the University Statutes were revised in March 1928, the charges of the three Vice Provosts were changed to Undergraduate Departments, Medical Departments and Administration respectively. In May, George W. McClelland was designated as Vice Provost responsible for the Undergraduate Departments and George A. Brakeley as Vice Provost for Administration. In January 1931, the University dramatically revised its Statutes and finally established the new Office of the University President as the head of the University and set the role of the Provost as “the senior educational officer of the University” who “shall advise the President upon the educational policies and development of the University.” The center of the University leadership shifted from the Provost Office to the President’s Office. Both McClelland and Brakeley were re-appointed as Vice Presidents. The Committee on nominations for the position of Medical Vice Provost was discharged. From then till 1944, no more Vice Provost was appointed. 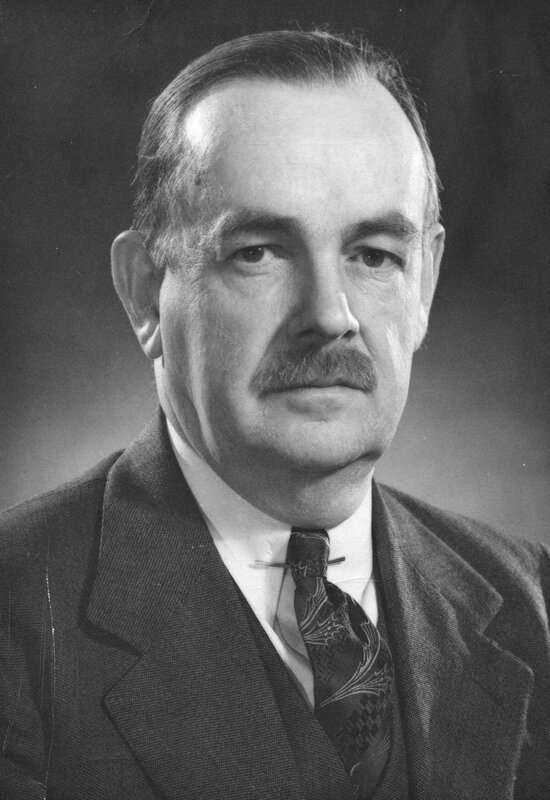 In February 1944, John M. Fogg, Dean of the College, was elected to the position of Vice Provost to assist the Provost. This Vice Provost position carried no specifically-focused responsibility and was discontinued in 1951. In January 1954, at the recommendation of President Gaylord P. Harnwell, the University Trustees appointed two Vice Provosts with responsibility in re-designed areas. One of them, Roy F. Nichols, was to be responsible for research funds and awards, research publicity and relationships with learned societies. Nichols held that position until 1965. In 1973, a committee was reconstituted to search for a Vice Provost for Graduate Studies and Research. Donald N. Langenberg was appointed to the position in 1976. The title of the position was changed to the Vice Provost for Research when Louis A. Girifalco took the office in 1979. At present the Vice Provost for Research is one of the three Vice Provosts assisting and reporting to the Provost. The collection documents the governance and guidance by the Office of the Vice Provost for Research on academic and research matters of the University of Pennsylvania in the period from mid 1950s to early 1990s. A significant part of the collection concerns discussion of policy observation and implementation on certain sensitive research subjects. Included in this category are files of animal care at Penn’s Experimental Head Injury Laboratory and the assurance given by the University Trustees in compliance of the Federal Public Health Service Policy on Humane Care and Use of Laboratory Animals, files of the University AIDS Advisory Committee, files of the Office of Environmental Health and Safety, files of the Radiation Safety Committee, and discussion and review of University relations with intelligence agencies (1970s) and University-Industry relations (early 1980s). Related to the animal care issue are some forty audio-visual cassettes recording experiments on monkeys at the School of Veterinary Medicine. Also included are a file of the CRIA experiments, which consists of confidential laboratory records supporting a legal case charging the University of contamination by one of its lab centers in a viral induction experiment. The Administrative records of the Office of the Vice Provost for Research include files of the Center for the Study of Aging, files of the Laboratory for Research on the Structure of Matter, correspondence with the Medical School and the University Hospital and files of the Wistar Institute. An important part of the Vice Provost Office’s responsibility concerns research funding and development. For information in this regard, researchers may be interested in files of the Biomedical research support grant committee, files of the Committee on Research and the Office of Research Administration, files of Penn’s Research Foundation and research funding requests, files of the Development Campaign, and files of the Housing and Urban Development Project. The files of the Lindback Award keep applications for this distinguished teaching award at Penn from 1979 to 1982 as well as a list of all recipients from 1961 to 1981. As the use of computer became increasingly popular in the 1980s, there is a substantial file on the Office’s involvement in the application of computer technique throughout the campus. Committee to Review Graduate Fellowships, Identification of Resources for Support of Graduate Students n.d.
Council on Government Relations Ad hoc Subcommittee on International Agreements and Activities n.d. Laboratory for Research on the Structure of Matter Proposal to Extend National Science Foundation Grant 1983 Sept. Laboratory for Research on the Structure of Matter Proposal to Extend National Science Foundation Grant 1984 Sept. Laboratory for Research on the Structure of Matter Proposal to Extend National Science Foundation Grant 1989 Feb.
Reference material IBM Academic Information Systems, Courseware Catalog n.d.
Treasurer Office, funding of sponsored research 1990 Jan.
Veterinary Medicine, School of, Audio tapes, “Almanac Edition, Vet School, 1-15-1985,” three sets, each consisting of three cassettes (6 sides) n.d.
Veterinary Medicine, School of, Video tapes [Monkey number] B 8 n.d.
Veterinary Medicine, School of, Video tapes B 8 (cont.) n.d.
Veterinary Medicine, School of, Video tapes B 9 n.d.
Veterinary Medicine, School of, Video tapes B 10 n.d.
Veterinary Medicine, School of, Video tapes B 11 n.d.
Veterinary Medicine, School of, Video tapes B 13 n.d.
Veterinary Medicine, School of, Video tapes B 14 n.d.
Veterinary Medicine, School of, Video tapes B 15 n.d.
Veterinary Medicine, School of, Video tapes B 16 n.d.
Veterinary Medicine, School of, Video tapes B 17 n.d.
Veterinary Medicine, School of, Video tapes B 18 n.d.
Veterinary Medicine, School of, Video tapes B 19 n.d.
Veterinary Medicine, School of, Video tapes B 20 n.d.
Veterinary Medicine, School of, Video tapes B 21 n.d.
Veterinary Medicine, School of, Video tapes B 22 n.d.
Veterinary Medicine, School of, Video tapes B 23 n.d.
Veterinary Medicine, School of, Video tapes B 26 n.d.
Veterinary Medicine, School of, Video tapes B 28 n.d.
Veterinary Medicine, School of, Video tapes B 30 n.d.
Veterinary Medicine, School of, Video tapes B 32 n.d.
Veterinary Medicine, School of, Video tapes B 35 n.d.
Veterinary Medicine, School of, Video tapes B 37 n.d.
Veterinary Medicine, School of, Video tapes B 39 n.d.
Veterinary Medicine, School of, Video tapes B 44 n.d.
Veterinary Medicine, School of, Video tapes B 45 n.d.
Veterinary Medicine, School of, Video tapes B 54 (I) n.d.
Veterinary Medicine, School of, Video tapes B 54 (II) n.d.
Veterinary Medicine, School of, Video tapes B 54 (III) n.d.
Veterinary Medicine, School of, Video tapes B 82 n.d.
Veterinary Medicine, School of, Video tapes B47T, B75, B76, B77, B78, B79, B80, B81 n.d.
Veterinary Medicine, School of, Video tapes B47T, B75, B76, B77, B78, B79, B80, B81 (second copy) n.d.
Veterinary Medicine, School of, Video tapes B44T, B47T B48, B49, B50 n.d.
Veterinary Medicine, School of, Video tapes B44T, B47T B48, B49, B50 (2nd copy) n.d.
Veterinary Medicine, School of, Video tapes BB1 (Site visit) n.d.
Veterinary Medicine, School of, Video tapes BB1 (Site visit, 2nd copy) n.d.
Veterinary Medicine, School of, Video tapes UPA#1 (three minutes) n.d.
Veterinary Medicine, School of, Video tapes “Unnecessary Fuss” n.d.